Steelers (11-5) – The Steelers in my opinion is poised yet again to make a run in the NFL playoffs again. Last year the Steelers put up a combined 63 points against the two best scoring defenses last year ( Bengals, Seahawks ). The suspension of RB Le’Veon Bell ( 4 Games) & WR Martavis Bryant ( All of 2016) are the biggest question marks on offense. Big Ben will have to rely on 33 year old RB Deangelo Williams for the 1st quarter of 2016. 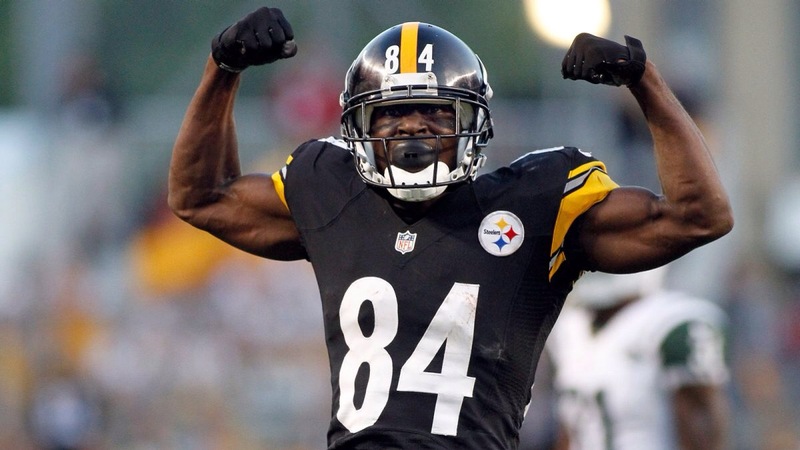 Despite the season long suspension of Bryant the WR core is booming as Antonio Brown continues his dominance as the premier wideout in the NFL. I expect Marckus Wheaton and Sammie Coates to fill in Bryant’s absence. The defense is comming into its owns as they adjust to the “Tampa 2 ” scheme. Look out for Stephen Tuitt as he emerge as one of the top D Ends in this Leauge . The Steelers are still the class of the AFC North and are poised for another run that could land them in SB 51. Ravens (9-7)- The Ravens was a uncharacteristic 5-11 last year. The core of the Ravens ( Suggs, Flacco, Smith & others) were injured for the majority of the season. The biggest question facing the Ravens is the health of Joe Flacco . The Ravens was ranked 8th (total passing) 14th (total yards) who will get a healthy receiving core finally. Benjamin Watson is a sneaky acquisition who still has gas in his tank. Terrell Suggs returns to a Ravens D who ranked 8th (total yards allowed) 10th ( passing yards allowed) & 12th (total defense). Ravens also bolstered their defensive backfield with the acquisition of Eric Weddle and former CB Lardarius Webb moves to the strong saftey spot. The Ravens rarely have concsecutive bad years and I think they bounce back. Bengals (8-7-1)- The window is slowly closing on the Bengals . After the wildcard loss to the Steelers the Bengals return with a healthy Andy Dalton(25tds 7INT 106.2 QBR) who sustained a thumb injury ending his season prematurely & new offensive coordinator Ken Zampese who replaces Hugh Jackson. The cupboard is stocked with a 2 headed RB attack with Jermey Hill and Giovani Benard & receiving core of AJ Green, & Brandon Lafell that will help Zampese transition into his new position. The Bengals defense was one of the NFL’ s elite defenses in 2015 (Ranked #2 in Pts allowed , 10th in sacks) . The Bengals D will be without Reggie Nelson who signed with the Raiders & Vontaze Burfict will serve a 3 game suspension . The only thing that concerns me is their questionable secondary as it’s riddled with underachieving talent with Dre Kirkpatrick & Darquez Dennard. This team takes a slight step back , but will be in the playoff hunt . Browns (5-11) – 1st year head coach Hugh Jackson has big shoes to fill. As the city enjoyed it’s 1st major sports championship in 54 years & the city is looking for its Browns to turn it around. RG3 becomes the 25th QB to start for the Browns since 1999. The Browns will rely on a heavy running attack with RB Issiah Crowell ,Duke Johnson & company. The receiving core of the Browns has the ability to improve immensely once Josh Gordon serves his 4 game suspension . Corey Coleman , Taylor Gabriel , Ricardo Louis have the ability to gel well with Gordon . Garry Barnidge proved in 2015 that he can be an elite TE in the NFL . Defensive coordinator Ray Horton returns to the land. Horton looks to recapture the magic of 2013 , where the Browns had its best statistical defense. Hopefully Joe Haden can stay healthy. This team will take some lumps , but this team is headed in the right direction.